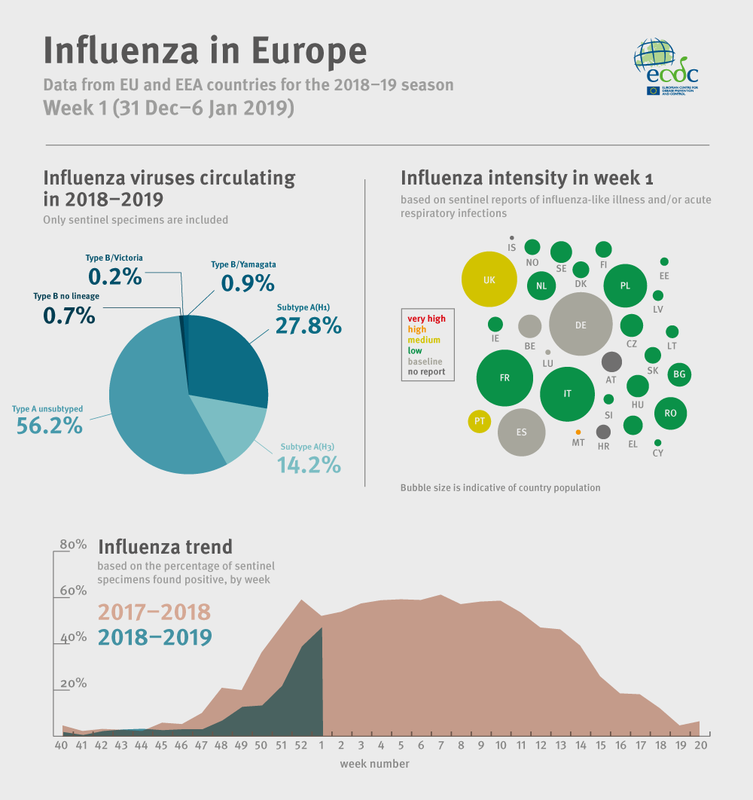 Flu News Europe is a joint ECDC–WHO Europe weekly influenza update. It reports on influenza activity in Europe throughout the flu season. 26 Feb 2018 - On 19-21 February 2018 the World Health Organization (WHO) agreed on the recommended composition of the trivalent influenza vaccine for the northern hemisphere 2018-2019 influenza season. 18 Dec 2018 - None of the European Union (EU) Member States could demonstrate that they reach the EU target of 75% influenza vaccination coverage for vulnerable groups, according to a new report from the European Centre for Disease Prevention and Control (ECDC).